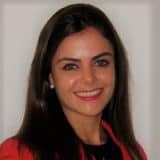 As Program Assistant at the BIR office, Beatriz holds a Bachelor’s Degree in Advertising and Public Relations and she completed her Master´s degree in Market Research and Consumer Behavior at IE Business School in 2014. She has previous professional experience in marketing positions in multinational telecom companies and in the mass media sector. Specialized at executing market research and online marketing projects she is always focusing on improving the customer experience.